I love that hat. I think I’d wear more hats if they were beaded. Very good points about pattern! You’ve given me lots to think about. 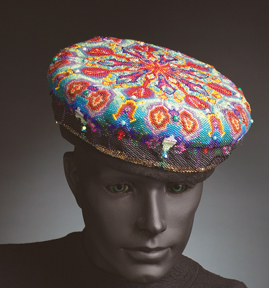 This hat was made by an artist for a family member. So it is not for dale. Thank you for looking and asking.